A top selling favorite, the H2O Fruit Infuser Sports Bottle is the perfect daily water bottle for your workout, hike, walk, or daily routine. 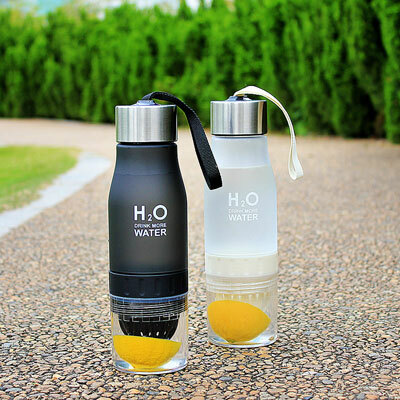 Featuring a built-in citrus press in the bottom, the leak-proof H2O water bottle lets you enjoy your own natural, freshly squeezed fruit flavored water...without the seeds and the mess of trying to squeeze your favorite fruit into an open container. 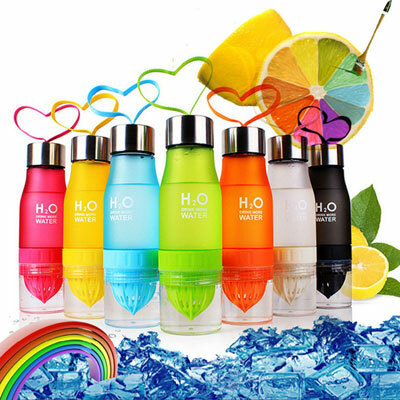 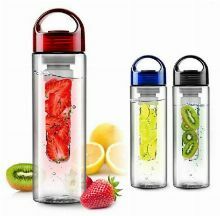 The 100% BPA free, 650ml (22 ounce) H2O Fruit Infuser Sports Bottle is made of food-grade, durable plastic, silicone, and stainless steel, and comes in a variety of fun, eye-catching colors. 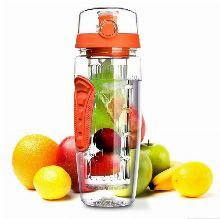 Clean up is easy thanks to the removable infuser and dishwasher-safe design. 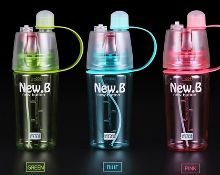 There's even an included carrying strap for hands-free carrying.